Countless clients of the studio will attest to that. 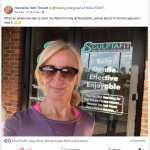 And many of our clients have tried regular personal trainers in years past – so their level of discernment is one to be respected. 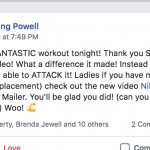 As a matter of fact – their 1-on-1 personal training abilities are what makes them AMAZING small-group fitness class coaches of the SCULPTAFIT Method.